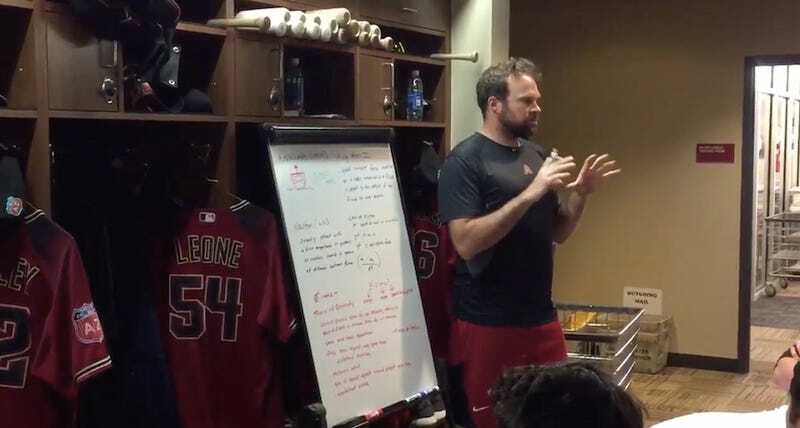 Arizona Diamondbacks pitcher Josh Collmenter is using his free time during spring training in a productive way: classes for his teammates. Today, the players learned about physics. Collmenter said his class is open to anyone, but Tuesday’s crowd was mostly pitchers because other groups of teammates had meetings they needed to attend. Collmenter’s putting that Central Michigan education to use.